After years and years of seeing many people rave about MAC, I finally caved. I recently bought ten products: 3 eye shadows, 2 blushes, 2 concealers, highlighting powder, face powder, and face spray. Everything I purchased are some of their most popular items. 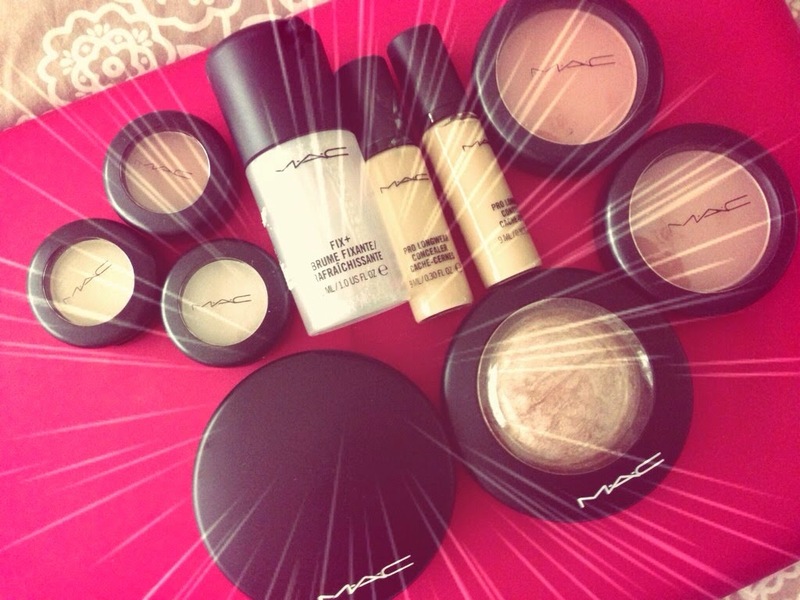 I figured this is best since I have never really tried anything from MAC. 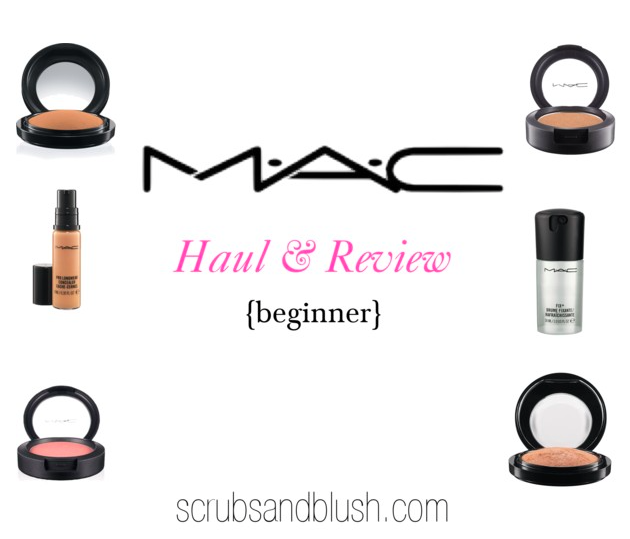 I noted that this haul and review is probably for a "beginner" to MAC cosmetics because those who have already tried MAC most likely have tried all of these products shown since they are so popular. So, what did I buy and do YOU really need them? Soft Brown: I was really excited about finally getting this shadow after countless makeup artists and bloggers have been talking about how this shadow is such a necessity. I have to say, after always using a similar shade in my eyeshadow palettes, I don't know if I agree this is a necessity. Sounds like I'm bending the rules a bit, but I simply just use my bronzer if I don't have any similar shadow shades. Shroom: Out of all the eye shadows I own, I didn't really have a "perfect" highlight for under the brow bone besides one shadow in a palette I've been plowing through. This shadow is a white and frosty. It doesn't look completely natural, but it's not an over powering shade that does trick. Nylon: This shadow is another highlight color but it's more intense than shroom. It also is more of a yellow base versus shroom that is more of a white base. I'm all about intense highlighting shadows, so I really like this color. 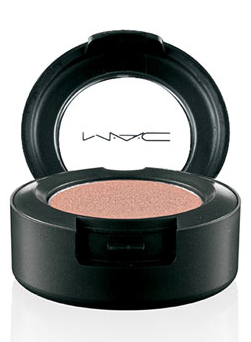 Overall, I really like the MAC eye shadows they are pigmented and easy to blend I just wish they were cheaper. Makeup Geek is a cosmetic company that has eye shadows identical to MAC but are half the price. Melba: I learned about this shade from Jaclyn Hill, YouTube Beauty Guru, who used to work as a MAC makeup artist and the first time I went to the MAC store an associate recommended it to me. 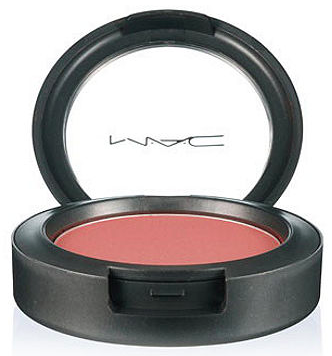 She recommended this blush to every one because it is a good neutral blush and will look good on every skin tone. I have such fair skin that this color actually seemed to be really peachy toned for me. However, I really like this blush and would recommend to anyone, I just did not expect it to seem so peachy. Tendering: I discovered this shade by another MAC associate. She recommended this shade specifically for my fair skin tone. I have to say I LOVE this color. Out of all the things I bought, this is definitely my top pick. I'm surprised I have not heard of this shade by more people. It really is the perfect neutral blush that gives me color but isn't distracting. I think this shade would not only look great on fair skin tones, but all skin tones. Overall, I really like these blushes they are very pigmented and easy to blend. NW 15 & NW 20: I picked up two shades of concealer because I've been in and out of the sun so I could use either shades depending on my tan, or I could mix them for a specific color. Once again, Jaclyn Hill introduced this concealer to me promising the spectacular coverage and priming the eyes. I really like this under eye concealer because it stays on forever and lets my skin the step in priming my eyes. 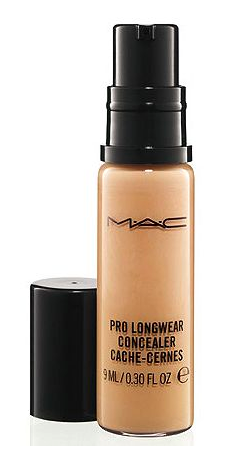 You can use this concealer not only on the eyes but other sections of the face as well. Just make sure its the same color of your foundation so your not highlighting things you actually want to camouflage. 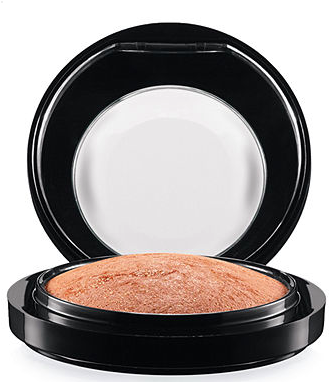 Light Plus: This powder lives up to its name. 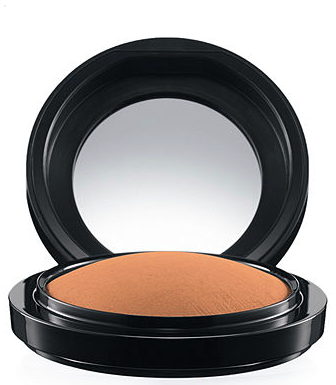 It's simply a mineral powder that has a natural finish. This powder is perfect for setting foundation without showing any signs of cakeyness. Don't get me wrong, I really like this powder but I still think you can find something close to this or almost the same as this at the drugstore. Soft & Gentle: This is a shimmery highlighting shade that is perfect to apply to the cheekbones and even use as a brow highlighter or an eyeshadow. It gives you glow that will blend nicely with your other face products. I haven' tried a ton of highlighting powders, but I really like this one! This is a multi-purpose facial setting spray. It has vitamins and minerals in it to keep your skin refreshed. I tried this as a facial setting spray and it left my face a tad bit too shiny. I bought the travel sized of this product because I intended it to be just for setting loose eye shadows or pigments to avoid fall out under the eyes. Using this spray to set eye shadows will bring out the color more intensely and give it more of a metallic look. Keep in mind that the colors look different in the pan than they do on the face.Overall, I really like all of MAC's products and probably will be repurchasing.